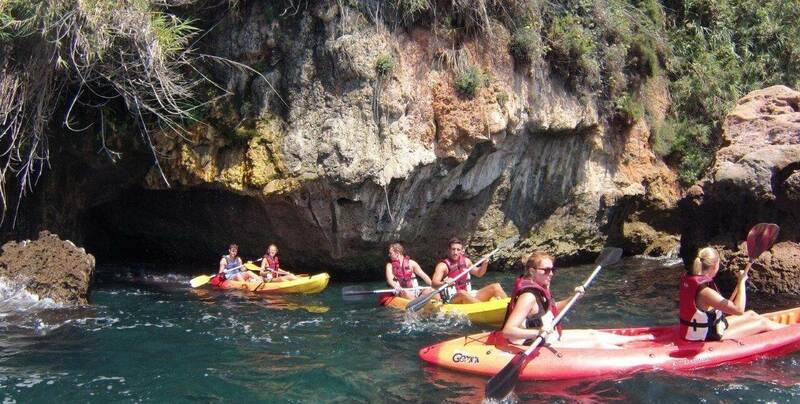 The activity will be placed in our center on the Beach of Burriana (Nerja). 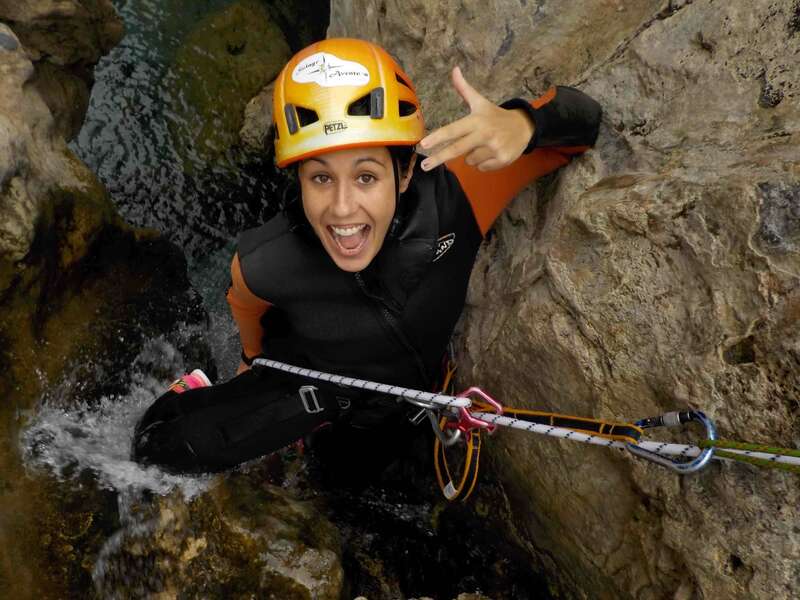 it will be consisting in a 2 days activity you choose the date, we organize you the best experience ever done. 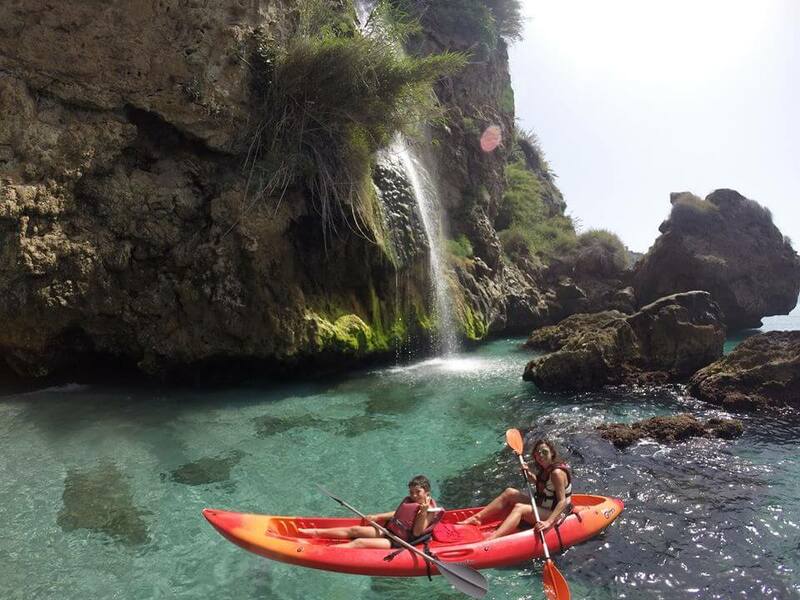 – Day 2nd) Activity two: Sea kayak and snorkeling Nerja Cliffs – It is an easy trip, perfect for groups and all those people who want to try the kayak for the first time in an easy way. 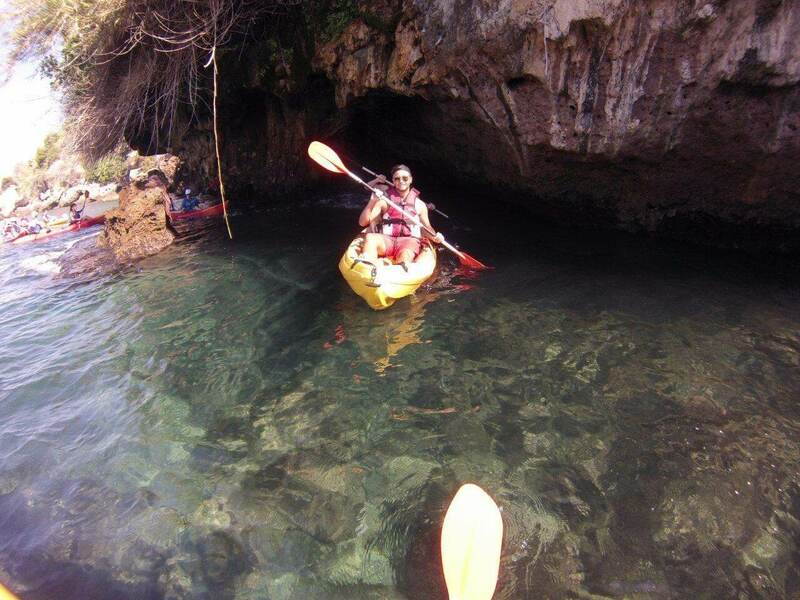 You will meet your instructor, receive your equipment, for this activity we will use a sit on top kayak, very stable and easy to manage. This landscape offers itself to us with the imposing backdrop of the Almijara mountain range, where the peak of the “Alto del Cielo” stands out over the abrupt profile of teh mountains. Next we will find the “Pirate Cave” where we can make a small incursion, and further on the waterfalls of Maro, whose waters spray down in a radiant rain from falling from such a great height. 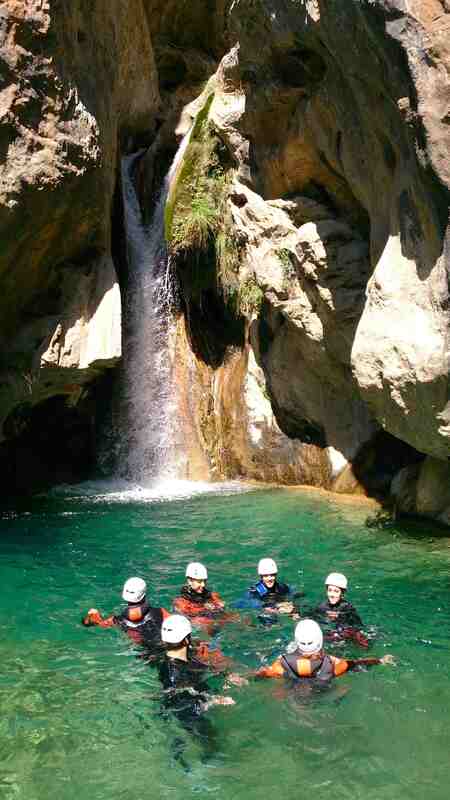 We will enjoy a landscape of crystalline waters and great beauty of Costa del Sol. We allways do our kayak tours in a perfect sea conditions, once your experience is confirmed please keep checking your emails or phone calls just in case we need to cancell your experience or postpone due rough seas. Kayaking & snorkeling actv meeting is from 9.30am til 6pm depending on time of season, check our schedule upon request. 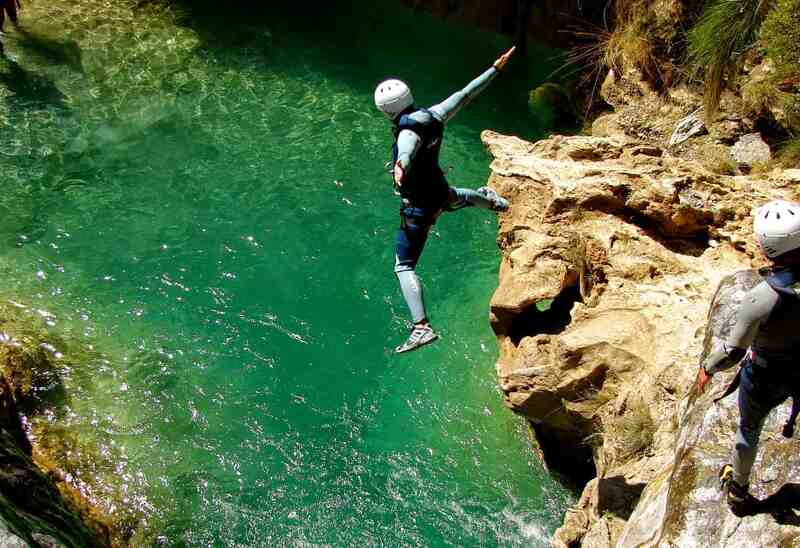 Round trip transfer from Burriana beach to Río Verde Canyon.